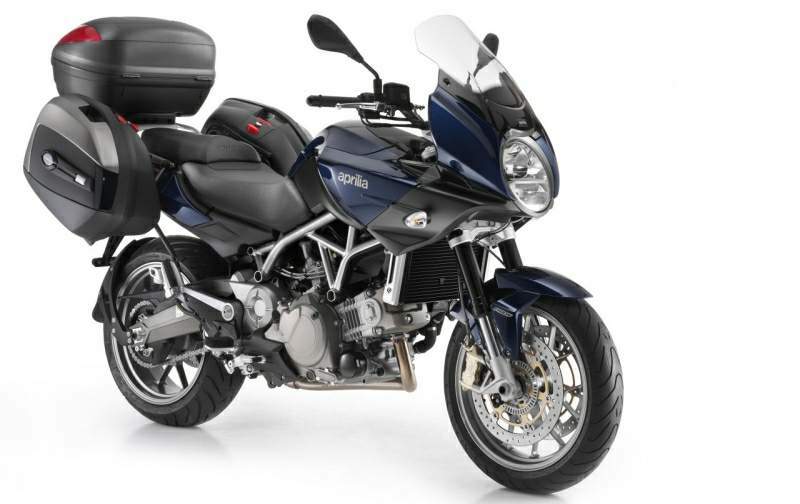 Until recent years, Aprilia has been producing the Mana 850 as an entirely naked bike, but the Italian manufacturer also entered the sport-touring category with the Mana 850 GT ABS. At its base, the bike remains the same all-rounder with nothing more than a half-fairing and an adjustable windscreen, but it is claimed to be the result of a completely new concept of motorcycle and that definitely raises a few question marks. Naked motorcycles are known as being versatile and user-friendly, qualities that turn veritable fun commuters out of these things, which always seem to easily find their place on the market. With the 2010 Mana 850 GT ABS, Aprilia adds touring capabilities on top of what still is the body and soul of the original, innovative naked bike. The new bike is powered by an unchanged 839,3cc 90-degree V-twin engine (Euro 3 homologated) and values the 76hp and 73Nm with the use of a Sportgear transmission. The intelligent transmission is a Mana characteristic and offers two riding modes: Sequential and Autodrive. The first allows the rider to decide when to change gears either in the classic way (by pedal) or by pressing a switch on the handlebar. In case that the rider forgets to downshift when slowing down/decelerating, the Semi-Sequential function intervenes and starts changing down gears. Autodrive mode lets electronics and the CVT transmission to do the entire job for the rider, who only needs to accelerate in order to be supplied with all the needed get-up-and-go. The best of this system is that it offers three different mappings: Touring (docile engine and great mileage), Sport (100 per cent use of the engine’s potential) or Rain (to be activated on slippery roads, allowing the rider to change down gears for safe riding). The rider can switch from one mode to another and use the innovative transmission in his favor virtually at all times and in all riding conditions and situations. 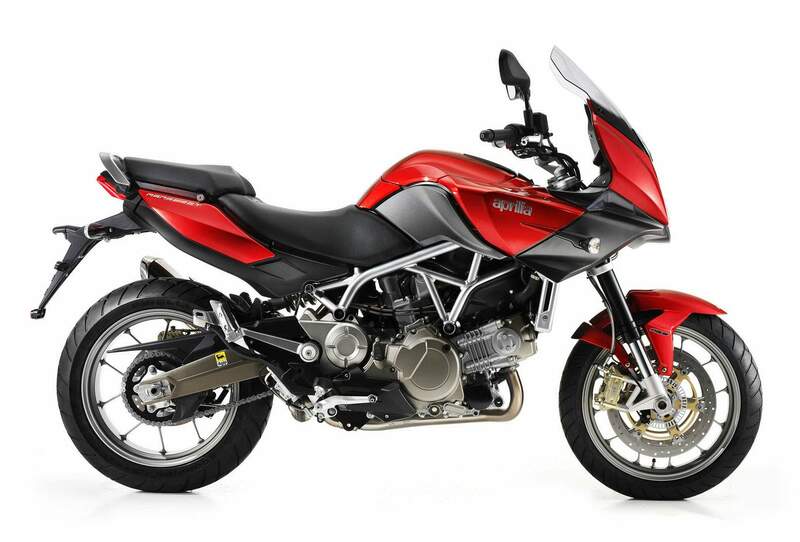 Aprilia builds the Mana 850 GT ABS on a robust steel tube trellis frame with a single piece aluminum swingarm. This, together with the 43mm upside-down fork and spring preload and rebound damping adjustable shock absorber has much to do with the bike being able both to filter traffic around town and gather up hundreds of miles during those long weekend trips. Like any veritable sport-touring motorcycle, the GT is fitted with an ABS system. The latest generation 2-channel Continental ABS enables riders to use the bike’s entire braking potential even on surfaces with reduced grip without risking to crash as a result of locking the wheels. Yet another innovative feature of the Mana is the under-seat fuel tank. The 4.22 gallons unit allows for good autonomy, but that’s not the reason why you’ll find it there. A helmet compartment with non-scratch lining for a full-face helmet, with mobile phone holder, toolkit/glove-box and 12V-power socket is located where the fuel tank would normally be and that is why the Italians went for the under-seat tank. Does this mean that you can even ride the Aprilia Mana 850 GT to the office wearing a suit? Yes, and you don’t need to carry the helmet with you and nobody will be aware of the ride that you had on the way to work. 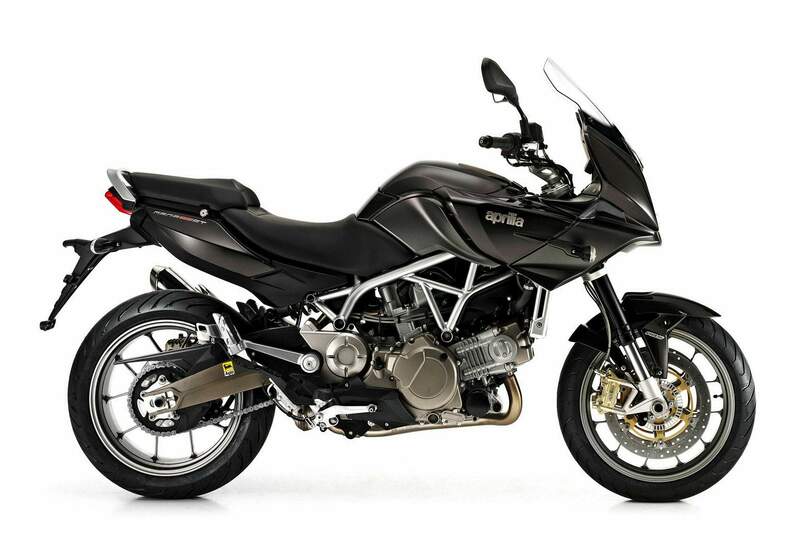 With their all-new naked bike, Aprilia intended to revolutionize commuting in Europe and, thanks to their ingenious and practical solutions, customers reckon they actually did. But the need was felt for the bike to be more capable once it hits the open road and that is why the half-faired version, which is ostentatiously called GT, is now being produced and sold. 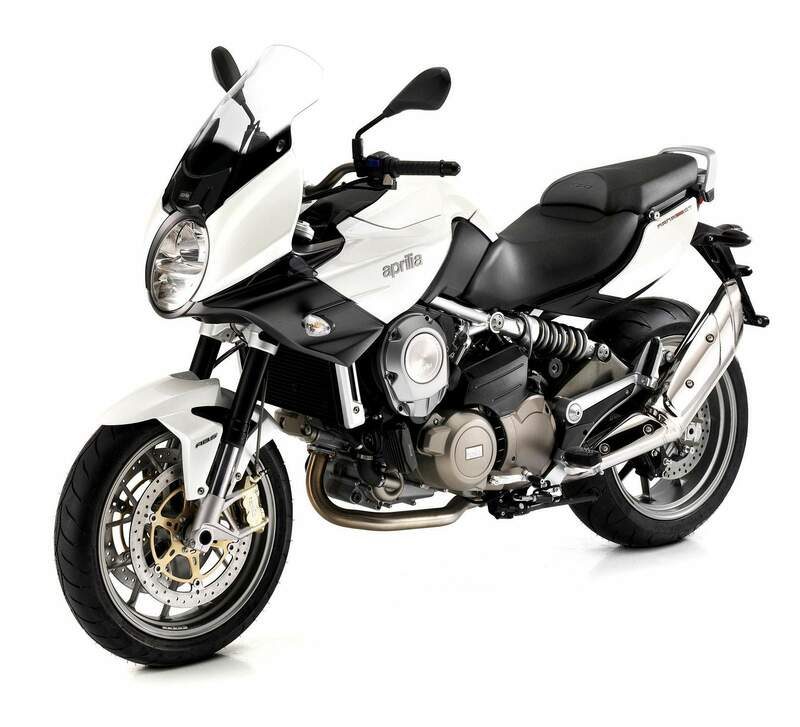 Aprilia also continues to manufacture the simple Mana 850 as a 2010 model year. The whole idea behind the original project was to have something more than a middleweight bike, but in no case a 1000cc one because of pricing reasons. The end result positions the Mana 850 GT next to no fair contender from various reasons: even the Yamaha FZ6S (not to mention the FZ1) is too powerful to consider the Mana 850 GT a decent contender, while the Ducati Monsters are alternatives for the naked model rather than the sport-touring one. Considering the fact that technically, the GT model is the same as the simple one, we would have expected the new one to radically stand apart as the best looking Mana model. It does, don’t get us wrong, but not at the level that we were expecting. The only difference consists in the stylish fairing with adjustable windshield that is built around the round headlight, a Mana characteristic. Like on the standard model, the 4.22 gallons tank is positioned low under the seat for better weight distribution and a low center of gravity. The bike already sounds fun to ride, but things get even more interesting when hitting the switch which electrically opens the storage compartment’s lid. As mentioned before, the illuminated storage compartment is lined with non-slip, non-scratch material and big enough to hold a full-face helmet as well as a mobile-phone holder and a 12V-power socket, which is a first not just for the category, but for motorcycles in general. Overall, the sport-touring bike looks well put together, beautiful, but I won’t call it aggressive. Colors available are Bianco Glam, Blu Planet and Competition Black. We haven’t yet got the chance to ride the 2010 Aprilia Mana 850 GT ABS, but seeing the facts makes us believe that it’s as easy to work with as a scooter, while offering the riding excitement of a real motorcycle. Still, it is early to pronounce our verdict on this motorcycle so we’ll simply call it extremely interesting for the moment.